such as hunger, cold, wind and damp. Such as hunger, cold, damp and wind. for food, for warmth, for gentle touch. It is seldom that you can take an invention and say categorically that it is directly responsible for given outcomes. But we can do this with Printing. The invention of the moveable type printing press in Europe set the west on a fast track to development of thinking, education, technology, representative government, free market economies and a rights based legal system. The rejection of printing by the Ottoman Empire had the effect of stagnating the Islamic world. In the mid 15th century the Ottoman Empire was the dominant power in world politics. A rising star. In 1453 the Ottomans conquered Constantinople. The centers of learning in the world were Arabic; Baghdad, Damascus, Granada, Cairo. People living in the Islamic world had better health, education, cleanliness, rule of law etc than those in the west. In England at this time, for instance, the Wars of the Roses began, plunging the country into decades of turmoil. Several things then happened that changed the dynamics of East and West. Firstly Gutenberg perfected the printing press. This technological breakthrough was rapidly copied all over Europe. With widespread availability of bibles there was a rise in literacy and scholarship. With access to the text of the Bible came a focus on the differences between church Dogma and the word of the Gospels. This led directly to the reformation of the church in the West and the rise of Humanism. Questioning the authority of the Church set in motion a rise in free thinking. If the Pope can be questioned then why not the King? Across Europe we see the rise of the third estate. The Reconquista was completed in Spain in the latter half of the 15th century, defeating the Emirate of Granada. With the fall of Islam in Spain a great wealth of knowledge was unlocked from the Arabic libraries. Scholars found ancient Greek texts on philosophy and science. The philosophical works by authors such as Plato, Aristotle, Sophocles etc, pre-dated Christian writings. They approached religious matters through reason rather than faith. The rediscovery of these works plunged the Christian world into a crisis which was exacerbated by the new literacy and widespread availability of the bible. At the same time the scholars unlocked scientific texts by the Greeks such as Archimedes and Pythagoras, and mathematical developments by Arabic scholars such as Mohammed ibn-Musa al-Khwarizmi as well as learnings from the Kerala school of mathematics in India. In the 13th and 14th centuries access to these texts was highly restricted. A university could proudly boast a library numbering books in the dozens. Monasteries restricted access to their hand copied texts. With the invention of printing these works became available to a far wider audience. Europe experienced the Renaissance. At the same time, in 1483 to be precise, Sultan Bayezid II instituted a ban on printing in the Arabic Language. By the time this ban was lifted, and widespread printing was made available to the Arabic world, the West had left the Arabic world behind. By the 19th Century the Ottoman Empire was “The sick man of Europe”. Spain, Portugal, Holland, England and France ruled empires that spanned the globe. 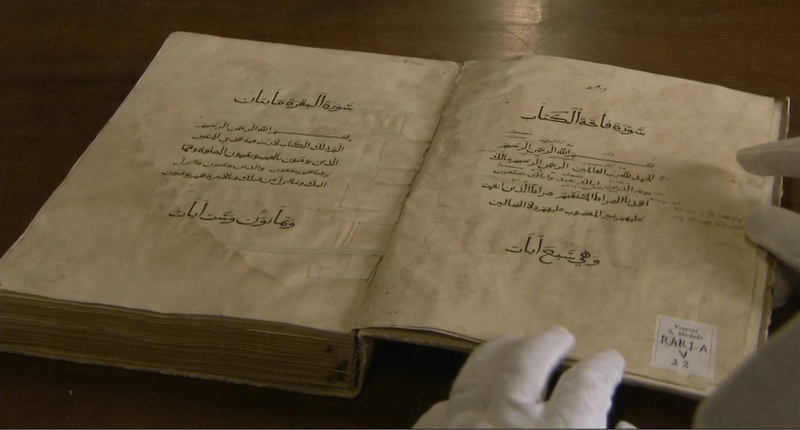 The Arabic world continues to suffer from the after effects of this 300 year ban on printing. In the West we need to be patient with developments in the Islamic nations. Europe did not grasp the concept of democracy in a few short decades. The grip of blind dogma on religion was not an overnight change. It took centuries of scholarship to resolve. It is amusing how many westerners expect the Arab Spring revolutions to deliver Western Style economies in a couple of years. 23rd February 1455 is commonly held to be the publication date of the Gutenberg Bible, the first book to be produced on a moveable type printing press. In our Euro-Centric Imperialist world view of history we were always told that Gutenberg invented the printing press. The truth is a lot more murky. The press was pioneered by the Chinese in the mid 11th Century, and they even invented a moveable type press. However, due to the vagaries of the Chinese alphabet and difficulties in casting metal typefaces, it was never popularised. China of the 11th century was a closed society. While trade in silks, spices and teas found its way to Europe through the Islamic Caliphate, as it had previously done in Roman times through various Persian empires, the volumes were small, the prices high. Technology did not transfer from place to place with any alacrity. It was the turmoil of 12th Century Mongol conquest that paved the route for ideas to move between China and the West. Travellers such as Marco Polo and Ibn Battuta braved the Silk Road and brought back inventions and ideas from the east, such as Rice, Pasta, Gunpowder and Cast Iron. Somewhere along the way the idea of the printing press made its way to Europe. It was not until the mid 14th century that Gutenberg put all the pieces together. His primary skill was with metal. It was his ability to develop a quick and cheap casting process for the type that opened the door to printing. Type metal is made of a combination of lead, antimony and tin. It does not shrink and deform as it cools in the mold. Gutenberg also developed inks that adhere to the metal type, and then cleanly imprint onto paper, and he developed paper of a quality to suit the pressing process. The first thing printed was the Gutenberg Bible. Making a bible that was accessible to a wide audience led to a reading of the bible by a large number of scholars. Once they began to see what the bible contained they began to question church dogma. The protestant reformation was born in a printing press. Very soon after the bible the press was harnessed for other purposes, and became the first mass market mode of communications. 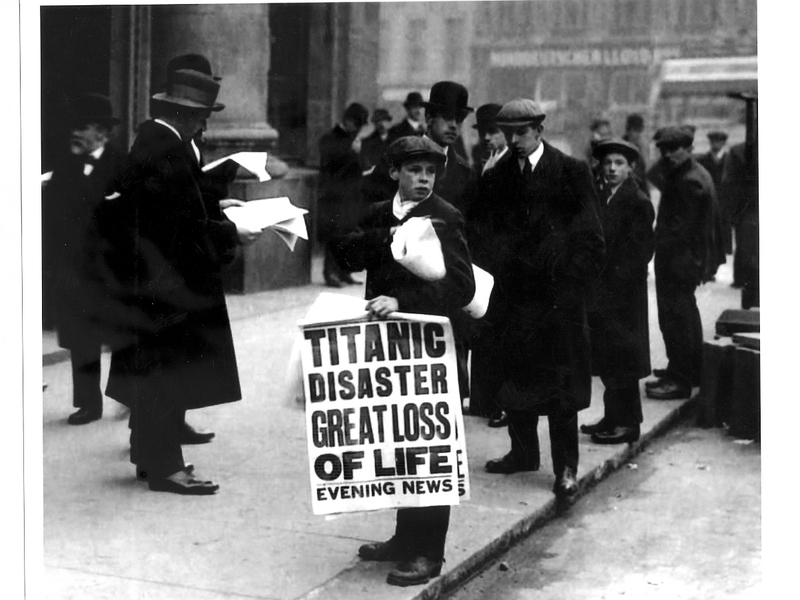 Media was born with the news sheet. Political change by the people and for the people was made possible by literacy and was made reality by leaflets, pamphlets and manifestos from printing presses. American independence and the French Revolution were a product of changes in society that began with a press, ink and a sheet of paper. Yet who was pledged to serve him day and night. And guard the ancestral throne of sovereign Thought. And spake — and heaven and earth in answer rung. Last night I played the role of Taxi Driver. A friend invited us over to celebrate his PhD conferring in Thurles but my son was also invited to an 18th birthday near Tipperary town. I promised last week that I would drive him over and pick him up later. So I was there for the start of the graduation party, and then left about 8 o’clock to drive to Tipperary. I dropped my two younger kids home on the way. I got back to the party about 9:30. It is funny to see how the nature of a party changes when you step out and then come back in again. The early sprinters are fading fast as they mellow in their cups. The slow starters are getting into their stride, and all the energy in the room has shifted from one group to another. As a designated driver you stand as an observer to the human condition. 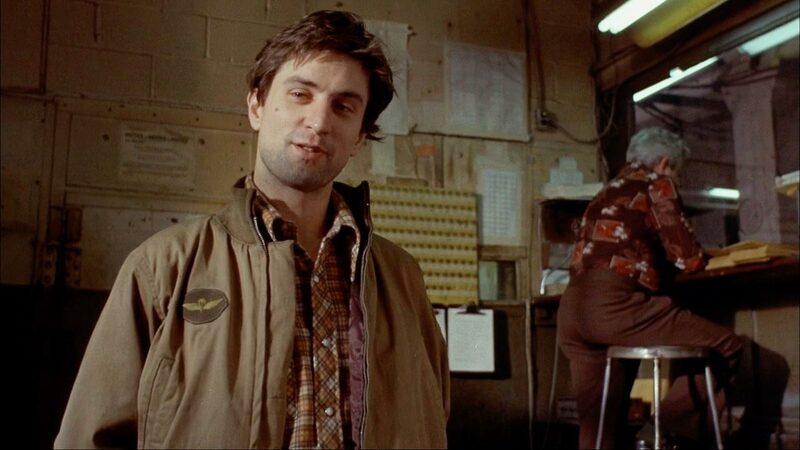 Sometimes you feel a bit like Travis Bickle! Driving back through Tipperary town after collecting Jerry we could see all the clubbers and the smokers on the streets. Girls in tight skirts and impossible heels. Young lads with unlikely haircuts doing their best to look cool. Club bouncers trying to look intimidating and welcoming at the same time. Saturday night on the main drag…it’s a funny old world. Thank God for the rain which has helped wash away the garbage and the trash off the sidewalks. I’m workin’ long hours now. 6:00 in the afternoon to 6:00 in the morning, sometimes even 8:00 in the morning. Six days a week, sometimes seven days a week. It’s a long hustle, but it keeps me real busy. I can take in 300, 350 a week, sometimes even more when I do it off the meter. All the animals come out at night – whores, skunk pussies, buggers, queens, fairies, dopers, junkies. Sick, venal. Someday a real rain’ll come and wash all this scum off the streets. I go all over. I take people to the Bronx, Brooklyn, I take ’em to Harlem. I don’t care. Don’t make no difference to me. It does to some. Some won’t even take spooks. Don’t make no difference to me. She talked of her husband the while. But didn’t so much as smile. Night’s alleyways went spinning by. A stranger drove the car. The stars were dressed up prettily. The streets were pretty bare. Whenever it swung too much. He spoke of a play he had just seen. That sounded somewhat too ready. She said how happy her marriage had been. Her voice was not very steady. Her eyes had him fixed with a stare. And said they were almost there. Then they were silent for a stretch. And told her a silly joke. The air was mild. And the taxi ran. It smelled of fun and fuel. For nature neither gave a damn. Their knees were fighting a duel. And then they got out. He gave her his hand. And left. And thought: that’s that. It, and kicked a hole in his hat. The battle of Verdun began 99 years ago on this day in 1916. A battle that lasted 303 days, involved over 1.4 million troops and resulted in a quarter of a million casualties. Verdun was everything that was wrong about industrial warfare. The Germans planned it as an exercise in slaughter, because they knew that in order to win a war lives must be lost. The painting above captures the excitement and anticipation of the French heading off to battle in 1914, when it was still a merry adventure. The American artist, Albert Herter, presented the painting as a gift to the railway company, and it is in the Gare de l’Est in Paris. The painting is all the more poignant as Herter lost his own son in the war. The exhuberant man firing in the air with his arms raised is Herter’s son Everitt. The old man on the right, holding a bunch of flowers, is Albert himself in self-portrait. By the time Verdun began this exuberance had worn off. The Gare de l’Est was a death sentence, similar to Germans in WW2 being sent to the Eastern Front. Verdun became the French national meat grinder. Young men marched bravely in and came back dead, injured or horrified. The diary entry below captures the horror. Humanity is mad. It must be mad to do what it is doing. What a massacre! What scenes of horror and carnage! I cannot find words to translate my impressions. Hell cannot be so terrible. Men are mad! Europe learned the lessons of the Great War, but not until after the second world war. This is why the European Union exists today. The EU is the most positive force for peace that has ever existed. It is more effective than the United Nations in achieving peace amongst its members. Long may it last. 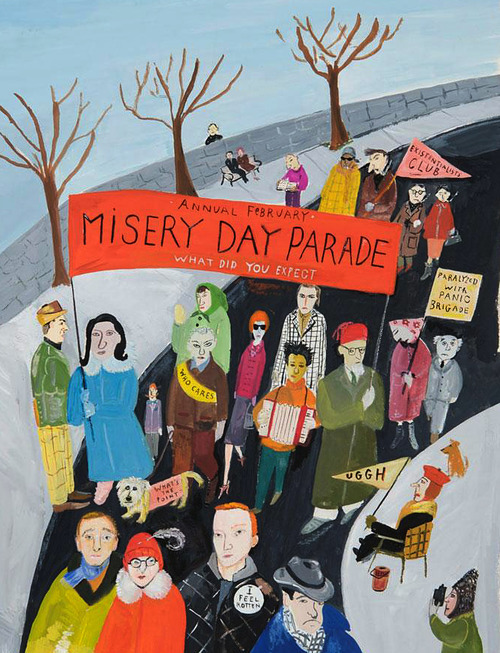 With Valentines day behind us, Fat Thursday, Shrove Tuesday and Ash Wednesday all duly celebrated we can at last settle into the rhythm of misery that truly defines the second month of the year and the final month of winter in the Northern Hemisphere. How the hell did this February get so many “days”? Gird your loins, the next bit of light relief is St Patricks day, on March 17th. On the night of 16 February 1804, Lieutenant Stephen Decatur led a small detachment of U.S. Marines to burn the USS Philadelphia. In October 1803 the US ship had run around on an uncharted reef while patrolling Tripoli harbour during the First Barbary War (1801-1805). The captain, Bainbridge, did his best to refloat his ship under constant fire from the Barbary guns. He jettisoned his own guns to lighten the ship, then jettisoned everything not necessary to handle the vessel. Finally, in a last desperate attempt he had the foremast sawn off. Ultimately he had to surrender himself and his crew to Yusef Pasha in Tripoli. 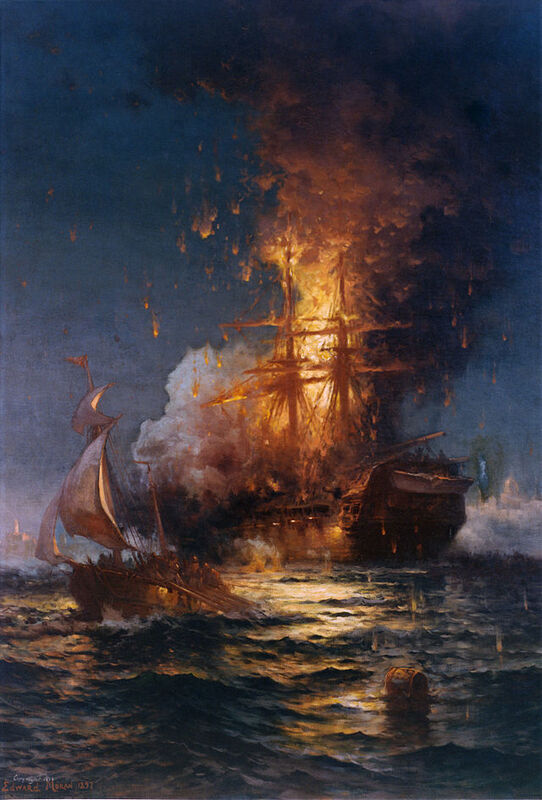 The Corsairs refloated the ship and brought her into Tripoli harbour, where she served both as trophy and a powerful defense against the US fleet. There are reports that the Muslim call to prayer in this period was signaled by the firing of guns from the captured ship. Next followed the action described by Horatio Nelson, at the height of his power on the eve of Trafalgar, as “the most bold and daring act of the age.” Stephen Decatur and his detachment of US Marines boarded a captured Tripolitan ketch. In a classic “ruse de guerre” they pretended to have lost their anchors in a storm, and sought assistance from the Barbary troops stationed aboard the captured Philadelphia. Decatur’s men stormed the ship and overpowered the Tripolitan sailors. With fire support from the American warships, the Marines set fire to Philadelphia, denying her use by the enemy. Thus began the legend that became the US Marines. The legend was sealed a year later when the Marines led a mercenary force from Alexandria in Egypt to capture the city of Derna in modern day Libya. For the first time in history the US flag was raised in victory on foreign soil. The successes of the First Barbary War became enshrined in the official Hymn of the US Marine Corps. The First Barbary War was a result of Muslim disruption of shipping in the Mediterranean in a manner that can only be described as officially sanctioned piracy. The US suffered particularly following the French Revolution, when they lost the protection of the Royal French Fleet. When Thomas Jefferson and John Adams went to London to negotiate with Tripoli’s envoy, Ambassador Sidi Haji Abdrahaman to enquire concerning the ground for the attacks on US shipping, the ambassador replied that: It was written in their Koran, that all nations which had not acknowledged the Prophet were sinners, whom it was the right and duty of the faithful to plunder and enslave; and that every Muslim who was slain in this warfare was sure to go to paradise. Seems things haven’t changed much in 200 years. The Marines Hymn; author unknown.